Last night I made a salad using the ingredients from our local CSA. 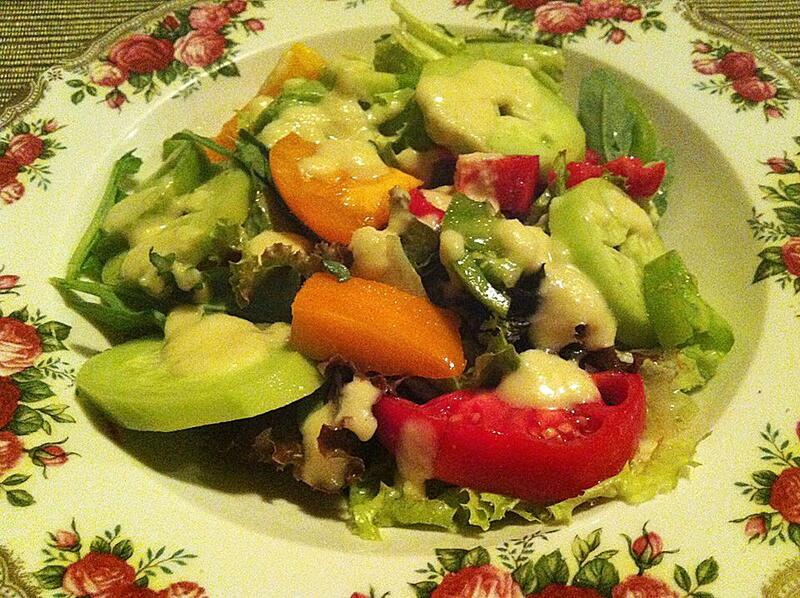 Heirloom tomatoes, heirloom cucumbers, baby greens, and mustard arugula. Posted by simplycookingrealfood on November 3, 2013 in Salads.